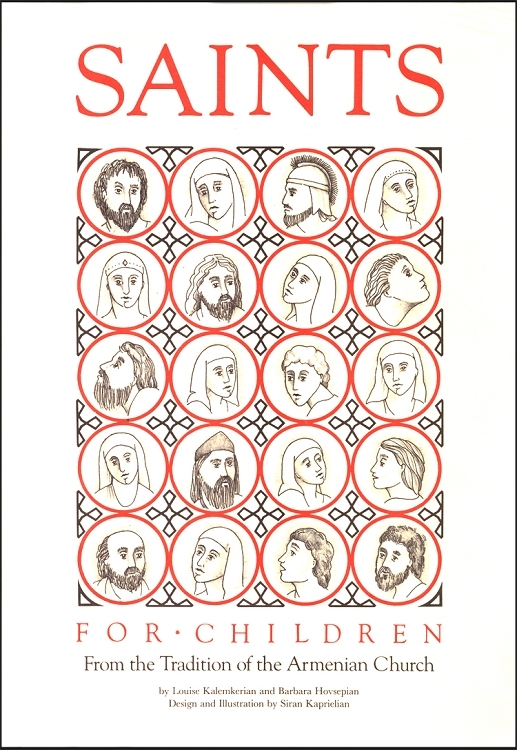 Saints for Children from the Tradition of the Armenian Church is a series of engaging accounts and illustrations on the lives of saints. Intended for the youngest generation of Armenians, the book demystifies saints by describing them as real people to whom children can relate. The book was written to help children learn about the saints and their sacrifices. The first section details the lives of saints of the Early Church, like St. Mary, St. Peter and St. Thaddeus, who most Christian Churches regard as saints. The second section deals with saints that are unique to the Armenian Apostolic Church like St. Santookhd. St. Ashkhen and Sts. Mesrob and Sahag. The authors hope that their young readers see these saints as role models and follow their example. They want to teach children to call on the saints in times of need and to try their very best to do God's will.